National Resource Defense Council. 17 September 2009. I have long held that the greatest challenge posed by industrial carbon emissions is not anthropogenic global warming but ocean acidification. * Geoengineering and adaptation schemes offer policy makers answers to the problem posed by climate change; these options do diddly squat to reduce ocean acidification. If slowing acidification is indeed a noble goal, then emissions mitigation in the only possible option. It is an option the world shall always forsake. The short term costs of issuing serious restrictions on carbon emissions are simply too high for any sane actor in international politics. Bar a major technological shift in energy production, I suspect this statement to hold true throughout the course of my lifetime. The world should thus prepare for a future of acidic oceans. To this end I offer two recommendations, one for researchers and the other for activists. Research concerning maritime resiliency is desperately needed. As ocean acidification has only been on scientist's radar for the last few years, the literature on this subject is sparse. This needs to change. Environments are not static; maritime environments have experienced tumultuous disruptions in the past, and it is unreasonable to think that the carbon emitted over the last two centuries has not had an effect on ocean ecology. Investigating the rate at which ocean species are able to adapt to acidification would be particularly valuable. Like the mosquito born resistant to DDT, there will be species that adapt to - and even thrive in - the acidic oceans of the future. The question is how long the process of adaptation will take. This is assuming that the adaptation is allowed to take place. Acidification will put coastal ecosystems on the brink. Overexploitation shall push these ecosystems over the precipice. It is my advise for activists focus their efforts on the second of these threats. Overexploitation** is the single greatest threat to reef environments. It is also preventable. If activists wish efforts to preserve ref and coastal ecosystems,they must focus with laser like intensity on limiting direct human disruptions. Jumping into the carbon wars will simply sink activists in a policy morass inhabited by ideologues and deep pockets. While idealists may try to break the system, attempting to strip mankind of its largest and most efficient source of power is - and always will be - a fool's errand. There is only so much political capital to go around; investing all of it in carbon emissions schemes sounds the death knell of our reefs. *For those unfamiliar with the topic I recommend this short 5 minute 'micromentary.' The gist is this: the ocean absorbs approximately one fourth of all carbon emissions; by 2050 this should cause the pH of level of the ocean to drop from 8.0 to 7.8. While it does not sound like much of a difference, it is worth keeping in mind that a similar shift in the pH level of the human bloodstream would likely result in death.This change in pH level will have a similar affect on marine populations, with delicate reef ecosystems being hurt the most. **I am including anthropogenic habitation destruction under this label. Dirk Bryant, et. al. World Resources Institute. 1999. WARSAW — The United States will deploy ground-to-air Patriot missiles in Poland in 2010 and is discussing its plans for a new anti-missile system with Warsaw, a US defence official said Friday. "We presented some detailed information on how the rotations of our Patriot batteries would be conducted over the next few years under the August 2008 agreement" with Poland, US Assistant Secretary of Defence for International Security Alexander Vershbow said in Warsaw. "We look forward to the commencement of those rotations next year," Vershbow said following talks with Poland's Deputy Defence Minister Stanislaw Komorowski Friday ahead of next week's visit by Vice President Joe Biden. The Patriot missile battery "will be armed and possess elements permitting it to be integrated with the Polish defence system," Komorowski added. Instead of 10 interceptors whose functionality and reliability are questionable, [the Russians] are now going to face an unknown number of ground-to-air Patriot missiles whose accuracy and reliability are known. It is also worth noting that the Patriot missiles will be able to protect Poland itself from bombardment, as the old architecture was designed to destroy ICBMS launched at Western Europe and America. The second point of interest is found within the diplomacy behind this decision. I have been highly critical of the Obama administration's actions on this front in the past, but now a fair case can be made that there was method in the madness. Under this view, the entire missile shield saga was but a rather shrewd maneuver on part of the White House. In order to relieve pressure on Afghan supply routes and to create a more amenable Russia for upcoming negotiations with Iran, the White House breaks deals with Poland and the Czech Republic. Diplomatic niceties are blatantly ignored in order to show the Russians how serious the White House is about reforming the U.S.-Russian relationship. Yet once the Persian problem starts to look up, the United States doubles back and offers Poland a realistic missile defense plan. With a few bold moves the Obama administration orchestrated a great diplomatic win-win for the United States. The other view is that the White House realized it made a huge mistake in treating the Poles so coldly and is now backpedaling as fast as it can to retain the favor of our Eastern European ally. Which version of the story you believe rests on how much faith you have in the competence of the Obama administration, I think. Intelligent Folk Dissect The CCP So I Don't Have To. A common theme here on the Stage is the need for pundits and analysts alike to have a better understanding of the internal structures, dynamics, and divisions of the Chinese Communist Party. As stated before, there are few human beings whose actions have so large an influence over the course of world affairs but receive so little public scrutiny as the members of the CCP. As such, I am always on the look out for media that helps illuminate the working processes of the CCP. I am happy to say that I have come across two articles (both published in the Journal of Current Chinese Affairs) that do just that. While written in a rather dry and academic style, both of these essays outline important trends in the thought and practice of the modern CCP that are worth your consideration. The Chinese Communist Party: Recruiting and Controlling the New Elites. Cheng Li. Journal of Current Chinese Affairs. 2009. Remaking the CCP’s Ideology: Determinants, Progress, and Limits under Hu Jintao. Heike Holbig. Journal of Current Chinese Affairs. 2009. The first of these articles details divisions among the fifth-generation leaders of the CCP. Li not only summarizes the basic "populist" vs. "princeling" divide of the CCP, but provides a good introduction to the changing demographics of prominent Party members, paying special attention to the rise of entrepreneurs and lawyers in the upper ranks. Also included is a brief discussion of the possibility of a "One party, Two Coalition" system. Holbrig's essay is contrarianism at its best. Many analysts are fond of boiling down the CCP's popularity to China's recent high growth rates; Holbrig attacks this stance with some vigor. Holbrig describes efforts of the CCP over the last few years to reinvigorate fervor for socialist ideology in both the Party and the populace. In doing so, Holbrig disabuses readers of the notion that the legitimacy of the CCP rests on nothing more than eight percent annual GDP growth. A tip of the hat goes to The China Beat for pointing me towards The Journal of Current Chinese Affairs. Over the last few weeks I have noticed a transformation in the actions and rhetoric of Brazilian statesmen. None of Brasilia's undertakings seem to be remarkable or abnormal when examined individually. Yet when viewed in the aggregate, it is hard to miss the new trend found within Brazil's dealings with the outside world. 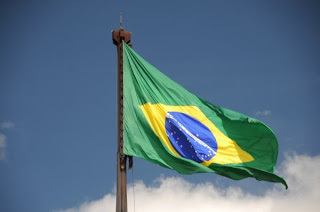 When strung together the pattern is clear: Brazil has decided - finally - to enter the clicque of great powers jockeying for hegemonic influence across the globe. Brazilian President Silva da Lula seemed to suggest as much this week in Copenhagen, brazenly stating, "We're not a second rate country, we're a first rate country." A first rate country indeed. Over the last month Brazil has intervened in the internal affairs of numerous Latin American states, precipitated a large build up in offensive military capabilities, and vigorously sought to reshape the contours of the global economy. These undertakings are expected of the United States. Brazil, however, is new to the game. This is for good reason. For much of the past 30 years Brazil's story was that of an underdeveloped, undemocratic, violence-stricken nation, famous for its slums and saddled with billions in debt it could never hope to pay off. This is the Brazil of the past. Today's Brazil is something quite different: Brazil's crimes rate has been declining steadily since the beginning of the decade, Brazil has seen a long string of fair and free elections, and Brazil has turned into a modern economic power house, being both the last major economic power to enter the recession of 2009 and the first one to leave it thus far. The solution to Lula's excess momentum is to look outward. For the first time in modern history Brazil has banished enough of its inner demons to become a true force in international politics, and a president who is ready to play the role of Statesman-in-chief. It is too early to say if this is a permanent change in Brazil's strategic orientation. Sustainable is not a word often used to describe Brazilian policies, and a leader with the public support of Lula da Silva is quite rare. Brasilia's expansionist tendencies could easily collapse the minute Lula leaves office in 2010. Yet Lula has set a high precedent for the leader that follows in his wake. By moving Brazil into the realm of "first rate powers" Lula may have forced the hands of Brazilian politicians for years to come. *The exception, of course, is the depletion of the Amazon, which has continued unabated during Lula's tenure. Willy Lam. Wall Street Journal. 24 September 2009. "Curzon" ComingAnarchy.com 3 October 2009. Few people possess as much power as the ruling elites of the Chinese Communist Party. For American statesmen and diplomats, few topics have as much importance as the internal divisions and dynamics of the CCP. Given this, the lack of attention media outlets give to these men is simply astounding. There are few human beings whose actions have so large an influence over the course of world affairs but receive so little public scrutiny. Both of these articles seek to change this, and are the best reads on the subject I have seen since Summer's end. I recommend you read both, time permitting. Max Bivens. TomDispatch. 4 October 2009. Biven makes an intelligent point: the cost of eradicating small-pox was $300,000,000. This sum was spread over ten years. In the last two years, the United States government has spent some $4,000,000,000,000,000 to "fix" the American economy. Perhaps we have our priorities mixed up. "Curzon". ComingAnarchy.com. 18 September 2009. Tim Stevens. Complex Terrain Laboratory. 18 September 2009. The conflict simmering in Uganda is one of the many stealth conflicts nobody knows anything about. Both of these posts provide an unparalleled service in explaining the roots of Uganda's inner tensions. Curzon packs two hundred years of history into 500 hundred words and a map; Steven eschews historical context in favor of outlining the direct causes of the recent outbreaks of violence in Buganda. A Dangerous New Road in Afghanistan Opens. Derek Flood. Asia Times Online. 18 September 2009. This is one of the more important stories to come out of Afghanistan this month. I harp on the importance of logistics for U.S. expeditionary operations quite a bit here at the Stage -- this is article is required reading for those wishing to sound intelligent in such discussions. Tom Burgis. Financial Times. 28 September 2009. First the deal with Gazprom, and now this. It seems that the Nigerians have lost faith in Western buyers. Yemen: A Slogan and Six Wars. Khaled Fattah. Asia Times Online. 9 October 2009. A short history of the Houthi rebels in Yemen. Fattah attacks those who call this insurgency a "proxy war between Iran and Saudi Arabia" with gusto. Chip Ward. TomDispatch. 13 September 2009. The American West is drying up. Forget global warming and the like - demand is simply outstripping supply, climate change or no. Water practices need to be drastically changed to create anything close to long-term sustainable living. UN Integrated Regional Information Networks. 2 October 2009. Martin Smith. Frontline. 1 October 2009. This video was first brought to my attention by a post over at War News Updates. The editor of that site linked favorably to the summary of the video over at Danger Room, where Noah Shactman states, "It’s best televised look I’ve seen yet at how these marines live and fight. And it really should be required viewing for everyone trying to figure out America’s next steps in Afghanistan." I could not agree any more. Americans don't think much about Afghanistan, and when they do it is as a parlor discussion, alien to our own expeirences. This video changes that. The full episode of Frontline will not be available until the 13th. However, the first 24 minutes can be seen in the video embedded above. Frontline has also published interviews with Andrew Exum, John Nagl, and Stanley McChrystal that are worth looking over. The security blogosphere is buzzing with talk of the Obama administration's decision to scrap planned missile defense architecture in Eastern Europe. The majority of commentators have been content to play the role of cheerleader, offering no substantial analysis of the reasoning behind this decision or the diplomatic consequences of its implementation. As I read the debates raging across the internet concerning this decision it quickly became apparent that an outline of the "whys" of this decision is sorely needed. This post is an attempt to provide such a resource. In early 2007 negotiations between Washington, Warsaw, and Prague over a proposed Eastern European "missile shield" began in earnest. The stated purpose of the missile shield was to defend the United States and Western Europe from long range Iranian missile barrages. (If the longest ranged missile in the the Iranian arsenal, the Sajjil-2, were launched from missile installations in Semnan it would reach no farther than the Balkans.) The proposed missile defense system was to consist of one large radar station in the Czech Republic and 10 missile interceptor sites in Poland. Support for the missile shield came from three sources: contractors and congressmen with a vested interest in constructing expensive defense architecture, White House officials looking to place pressure on Russia, and the governments of Poland and the Czech Republic, eager to gain long-term security commitments from the United States. While military-financial types are enthusiastic about most of the Pentagon's new acquisitions, several aspects of the "missile shield" made it an unusually sound investment. The missile interceptors planned for Poland are best classified as "weapons yet to be developed"; ground based interceptors (GBIs) capable of destroying ICBMs simply do not yet exist. The allure for contractors is easy to see: twenty years and several billion dollars after Ronald Regan authorized the Strategic Defense Initiative, the Aegis Ballistic Missile Defense System was fully operational. Few investments can provide steady returns on a timeline as long as this. Corporations able to get in on the development of a successful GBI-based missile shield would stay in the black for at least a decade's time. Corporate support for the missile shield was strengthened by the political nature of missile architecture. International politics, not military utility, became the main source of momentum for the project. The greater the number of statesmen and diplomats with a personal stake in the completion the missile shield, the more secure of an investment missile architecture became. Perhaps the statesmen who put the most political capital in the missile shield are the officials of the Bush Administration. Administration officials were quick to see the value of large interceptor bases in Russia's backyard. In 2007, when American diplomats were desperately trying to find ways to cajole the Russians into playing rough with Iran, and again in late 2008, during the conflict over South Ossetia, the missile shield was used as leverage over the Russians. The missile shield was the ideal tool to show that American power remained strong in Russia's backyard. The governments of Poland and the Czech Republic supported the missile shield for a different reason: the construction of radar arrays and interceptor silos was a tangible sign of U.S. commitment to their defense. Building an interceptor silo is not an easy task. Interceptor silos in Fort Greely, Alaska, are built to withstand a nuclear barrage, constructed deep under layers of earth and concrete, protected by hundreds of soldiers and serviced by dozens of engineers. Given the amount of money and time it takes to build such an installation, interceptor and radar sites would not be a short term investment. The governments of Poland and the Czech Republic, who have always been worried that the United States might drop them when politically convenient to do so, were quick to jump on any chance to guarantee Washington's favor and gain more influence within NATO. Despite the enthusiastic support of the Prime Ministers of both Poland and the Czech Republic, negotiations bogged down soon after they began. The problem was threefold: Russian diplomats lobbied vigorously against the arrangement, angered by American entrenchment in the Russian near abroad, the majority of Eastern Europeans did not favor the project, fearing that America was taking advantage of her smaller allies, and Polish diplomats were insistent that the United States foot the entire bill for the missile shield, and requested a major Polish-U.S. military aid program to boot. The negotiations stayed in stasis until the summer of 2008, when Russian belligerence finally broke the diplomatic impasse. In July Secretary of State Condoleezza Rice and Czech Foreign Minister Karel Schwarzenberg signed an agreement to install radar stations in the Czech Republic; an agreement to station ballistic missile interceptors in Poland was signed by Rice and the Polish Foreign Minister Radek Sikorski in August. Both agreements were non-binding (not having been ratified by the U.S. Senate or the Polish and Czech Parliaments), but included both a general timeline for the installation of the missile shield, detailed how (and by whom) it would be operated, and provided the military aid and training the Poles had been pushing so hard for. Significantly, the agreements were long term contracts whose obligations would not be fully met until after the signers were out of office. For his part, President Obama signaled early on that he was open to canceling or altering the planned missile architecture. Obama questioned the track record of GBI interceptors several times on the campaign trail, noting their poor performance in Pentagon tests. In 2005, 2006, and 2007 the Office of the Director of Operational Test and Evaluation stated in its annual report, "Ground-based Midcourse Defense flight testing to date will not support a high level of confidence in its limited capabilities…additional test data under realistic test conditions is necessary to validate models and simulations and to increase confidence in the ability of these models and simulations to accurately predict system capability. "In 2008 and 2009 the system lacked a level of improvement high enough to even warrant testing. Central to this new policy of reconciliation was the growing recognition that the United States faced several threats both more pressing and potent than a Russian resurgence. The old horror of a nuclear Iran reared its head as the Iranians began testing the Sajjil-2; Russian responses to developments in Iran were muted, as always. Worse still were Russian attempts to take advantage of NATO's miserable state in Afghanistan. The greatest challenge faced by the Obama administration's foreign policy team was putting this region back together; Russian enmity would make this a challenge near insurmountable. The central problem was one of logistics. A secure supply chain is the first rule of expeditionary campaigns; NATO's supply chain was nothing of the sort. Landlocked, underdeveloped, difficult to traverse, and containing few safe points of entry, Afghanistan is the nightmare of every man in the Quartermaster Corps. Deteriorating regional dynamics made this situation even worse. Ammunition, supplies, and fuel could not enter Afghanistan through the West as long as the Americans remained opposed to Iranian nuclear ambitions, while new found tensions between Islamabad and Washington, as well as the collapse of state control in many parts of Western Pakistan, closed the East to large scale logistics operations. The only way to sustain NATO's forces was to build a supply chain in the North, straight through Russia and her satellite states. Just how tenuous of a situation this was become apparent on February 3rd, when Kurmanbek Bakiyev, President of Kyrgyzstan, announced hat the United States must close down Manas Air Base. Bakiyev made this announcement from a podium in Moscow, a day after securing deals writing off Kyrgyzstan's $180 million debt to Moscow, and the promise of a $2 billion discounted loan and $150 million in financial aid. It was a great coup for the Russians; Manas was a central supply hub for NATO forces, and its loss would strangle the war effort. A few days after President Bakiyev's announcement, Russian foreign minister Sergei Lavrov announced that Russia had negotiated a deal with the United States to allow the transportation of non-weapon supplies to Afghanistan. In the course of one week Russian leverage over the United States was magnified to heights unseen since the Afghan war began. The priorities of the Obama administration were quite clear from this point on. A rapprochement with Russia was of cardinal importance; the process of "resetting" relations between the two countries was about to begin. Old animosities were cleared away bit by bit. Grand overtures were made, state department officials fell upon Moscow in droves, and allies in Eastern Europe were humiliated in an effort to make amends with the Kremlin. >The efforts of the Obama administration were not wasted. On September 5th, the Pentagon announced that they had reached a deal with the Kremlin. The previous agreement allowing for the transportation of non-lethal supplies to Afghanistan was being supplanted by an agreement that allowed NATO forces to use Russian airspace to transport troops and arms. Six days later President Bakiyev stated in his 9/11 memorial address that Kyrgyzstan would allow the United States to continue using Manas Air Force base for logistical operations in the fight against terror. On the 17th the cause of Russia's change of heart became apparent. The White House released a press report on American missile architecture in Europe. The press report, followed by an address by the President himself, made clear that land-based missile architecture was to be no more. To continue her Bactrian expedition, America gave up her missile shield. The consequences of this decision will not be fully understood anytime soon – the stone can rarely see where the ripples of its splash will land. However, a few repercussions have made themselves manifest, while a few more can be guessed with a fair measure of certainty. The first of these repercussions was the feeling of warmth restored to U.S.-Russian relations almost immediately after Obama's speech had been concluded; in one swoop the Obama administration had removed the largest obstacle to closer ties between Russia and the United States. Dmitry Rozogin, Russian Ambassador to NATO, used a rather vivid analogy to explain the rapprochement: "imagine there is a corpse in your flat and then the mortician comes and takes it away. This means we're getting rid of one of those niggling problems which prevented us from doing the real work"
The "real work" was not long in waiting. NATO Secretary General Anders Rasmussen delivered an address the day after Obama's announcement. In his speech Rasmussen reestablished the Russia-NATO Council (which had been defunct since the Russo-Georgian conflict of 2008) and called for" President Medvedev was quick to reciprocate, acknowledging for the first time that sanctions against Iran might be necessary. Partially offsetting the improvement in U.S.-Russian relations is the loss of U.S. influence in Eastern Europe. For those in the Czech and Polish governments this change in policy was a betrayal. Both governments took a large risk when they signed non-binding security agreements with the United States; such agreements were virtual decelerations of hostility towards Russia and her designs for Europe. No Pole or Czech would have dared to adopt such a position were it not for the guarantees of U.S. statesmen that America would protect her allies in Eastern Europe. These guarantees sound quite hollow now. Friendless and scrambling for diplomatic cover, the Poles and Czechs are left wondering why they depended on the U.S. in the first place. While it is too early to say for sure, I suspect that in the future the Poles and Czechs will turn towards the EU, not the U.S., when they wish to blunt Russian animosity. This reevaluation of the United States will not be restricted to Poland and the Czech Republic; the decision has sparked many an assessment of America' and her commitments to weaker powers across the globe. The simple fact that the United States reneged a promise cannot be ignored. Leaders from across the world will wonder "Am I next?" Drafting non-binding agreements and resolutions will be particularly hard; there are no guarantees that the next administration will not reverse the decisions made by the current negotiating team. The last foreseeable long-term consequence of the administration's decision surround the missile shield itself. I have little doubt that twenty years and several billion dollars would have resulted in an able GBI system capable of destroying ICMBs. This option is no longer possible; as contractors flock to where the cash flows, GBI research will be abandoned permanently. As I write, the cash flows to the sea. While the Aegis Ballistic Missile Defense System is more capable than any other interceptor system built today, it does not yet possess the capacity to consistently destroy ICBMs. More research and money will undoubtedly be needed to transform the Aegis system into a fully functioning missile shield. If this endeavor succeeds the implications are numerous. A seaborne missile shield will be much more flexible than a GBI system, capable of providing ICBM interception in any region of the world. This, combined with the relatively low cost of upgrading a seaborne missile shield, will also make it a more durable instrument of national power than any ground based system could hope to be. This longevity comes at a sharp price: a Ticonderoga class cruiser is more vulnerable to attack than a missile silo buried a hundred feet below the ground. If the United States wishes to move her missile architecture out to the sea then she shall have to find a way to secure ships in the Aegis system from disruption. Thus, out of necessity, the modernization** of the U.S. Navy shall be a top, if not the top, priority for Pentagon planners in coming years. *President Medvedev ordered Iskander missiles to be deployed in the Russian exclave of Kaliningrad to "neutralize the anti ballistic missile system in Europe" the day after Obama was elected President of the United States. Some suspect that Iskander missiles can carry nuclear loads, but this capacity remains unproven. In response to Obama's decision to scrap the missile shield, Medvedev cancelled the deployment of missiles in the excalve. **Of course, the U.S. Navy is a "modern" force. Yet despite being the most technologically advanced maritime defense force in the world, I fear that the U.S. Navy relies too much on "wasting assets." This will need to change if seaborne missile architecture is to become a reality. For those interested in Naval modernization, I recommended reading New Wars, a tight blog that spills much ink on the subject. The White House press release detailing U.S. changes in missile archetecture. Anders Rasmussen. NATO Newsroom. 18 September 2009. The full text of NATO Secretary General Ander's Rasmussen address. "Steeljaw Scribe". Steeljaw Scribe. 22 April 2008. A good introduction to the terminology and major players of missile defense. Stephen Hildreth. Congressional Research Service. 4 February 2009. As the title suggests, Hildreth provides an overview of Iranian ballistic missile capacity. Significantly, this report was completed before the Sajjil-2 had been tested. Robert G. Gard, John Issacs, et al. Center For Arms Control and Non-Proliferation.17 September 2009. A short press release from the Arms Control Center on the technical benefits of an Aegis based system. Fact Check: Technicals of AEGIS BMD. "Galrahn". Information Dissemination. 23 September 2009. Mike Burleson. New Wars. 30 September 2009. Two posts by Navy-hands. Galhran provides a fact sheet and analysis for those "who want to be the smartest person in the room for AEGIS missile defense discussions." Over at New Wars, Burleson wonders if the current Ticonderoga cruisers are the best ships for the job, and provides some recommendations for the make up of an "arsenal ship" interceptor fleet. Sohbet Karhuz. Sohbet Karbuz. 8 February 2009. David Eshel. Defence Update. March 2009. Two articles that paint a devastating picture of the logistics of the ISAF. Karhuz focuses on regional dynamics, while Eshel dwells mostly on the supply routes within Afghanistan itself. However, both agree on two facts: Russia has NATO in a stranglehold, and ISAF forces face a "logistics nightmare." History Matters: Obama's Diplomatic Ineptitude. "T. Greer". The Scholar's Stage. 17 September 2009. Roxana Tiron. The Hill. 19 September 2009. A short piece on the companies and Congressmen that benefit from this decision and the companies and Congressmen who lose. Readers are welcome to recommend other articles, publications, or blog posts of merit worth inclusion in the comments section. Welcome War News Update readers! For those of you who do not follow WNU, its editor wrote a short response to this post for the website. You can find that, and my reply to it, HERE.